In addition to delivering high quality research services to our own client base, we at TTi Global support our colleagues and clients across three business pillars to drive change. Learning is a crucial element of staff development and engagement to providing high levels of productivity and customer service matching expectations. We often experience poorly trained staff unable to resolve customer issues or clearly communicate to colleagues or customers, causing frustration, disloyalty and poor productivity. TTi learning solutions support businesses to deliver objectives such as Employee Engagement, Customer Satisfaction, Customer Loyalty, Grow Sales and Staff Development. Measuring the overall business impact of learning interventions can be challenging task, there are many KPI’s to consider that will have different influences. Our learning evaluation tool enables businesses to measure the true return. Using the Kirkpatrick model of learning evaluation, we can understand the first 4 levels of evaluation. Our diagram below describes this approach. Measuring learner satisfaction across the different learning touch points enables the team to hone different course types, ensuring learner satisfaction and ensures TTi solutions go beyond traditional learning content and methods of deployment. Level 5: Return on Investment - Comparison of business benefit with costs. Level 4: Business Impact (Results) - What the change is in business results as a result of Level 3. Level 3: Application and/or implementation - What delegates are doing differently in the workplace as a result of their learning (Level 2). Level 1: Reaction and/or satisfaction and planned action - What delegates thought of the intervention and what they intend to do differently as a result (subjective data). We provide research solutions enabling measurement of staff and customers before, during and after learning interventions have been developed and delivered, contributing to ROI understanding. 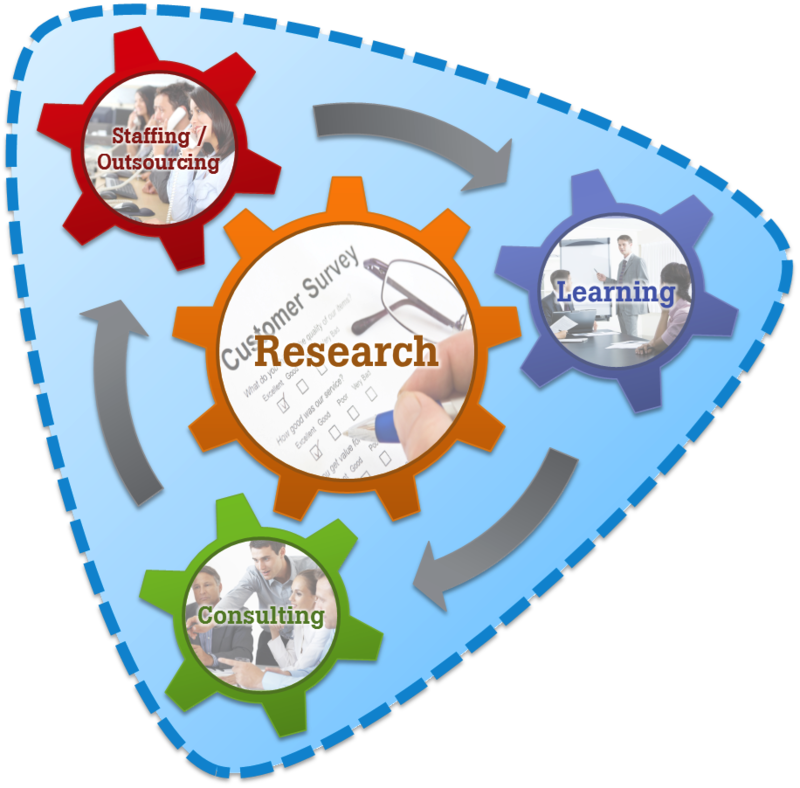 Research supports the achievement of effective learning design, understanding the most appropriate routes of delivery for different recipients and the content to bridge knowledge gaps and support business objectives. We won the bronze award at the LTA 2016 for a bespoke augmented reality (AR) training solution designed to support the Global Retailer Launch Training for the new Jaguar F-PACE. The AR applications demonstrated beyond traditional learning delivery methods the performance capability of the vehicle. Inventive use of technology was able to remove the need for multiple prototype cars to be created and shipped across the world, going inside and under the skin of the vehicle to visualise structural and technical aspects. There has been an impact on the brand culture within the organisation achieving an enhanced learner experience and estimated cost savings of £400,000 - £1,500,000 globally, a cost reduction of 5%-15% for global product launch training.